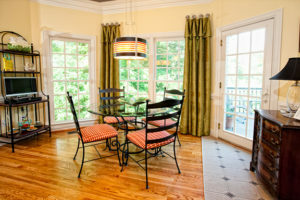 Window treatments are a great way to add the finishing touches to a space. Not only are they aesthetically pleasing, but they also provide a function. 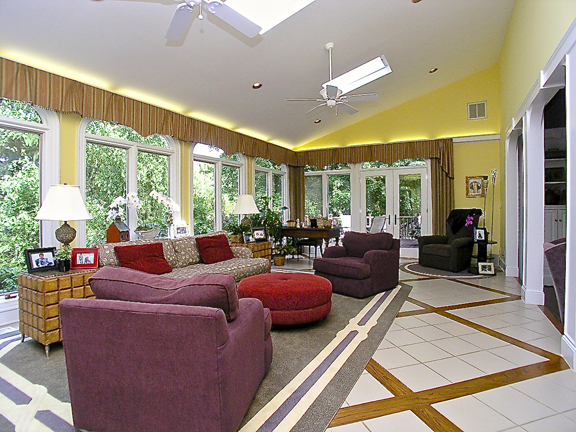 There are so many varieties and applications available these days (especially if your designer is working with a professional custom window treatment workroom), that it is easy to get overwhelmed and confused by all the details. 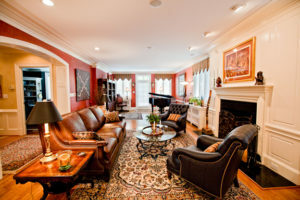 Working with a professional interior designer will enable you to get the right treatment for your lifestyle, space, and needs. 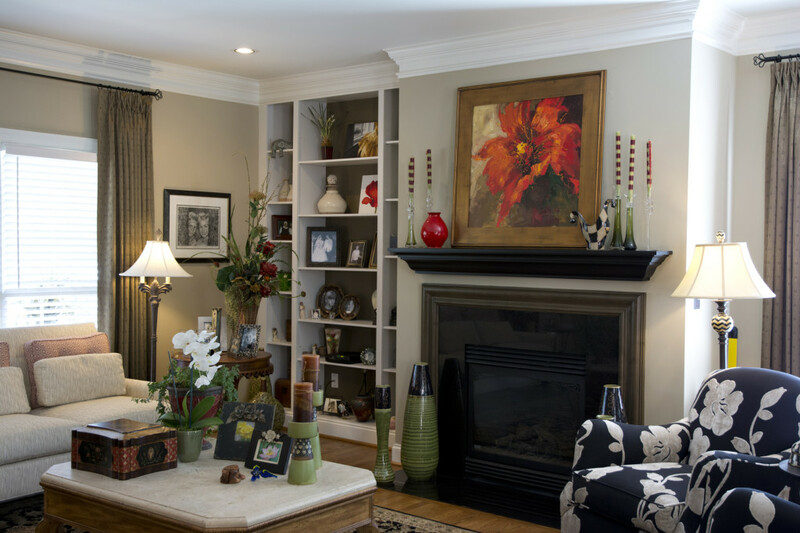 If you are not concerned about blocking light but still want to add something to your window frame, consider going with a soft valance or cornice board. Softening the window frame allows color and texture to break up the wall and window space and provide some visual interest while still letting plenty of light to come through. Worried about privacy? 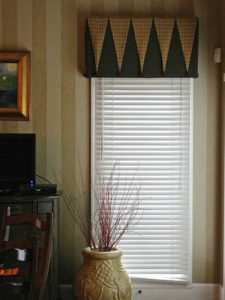 A Roman shade can achieve the same benefits a valance but can be drawn up or down in order to block out both light and visuals. Pairing a valance or cornice board with wooden blinds will also allow you to add privacy and block light while keeping the fabric window treatment simple and bringing in some color, pattern, and texture. Side panels are also a great option for warming an entire room. They can be functional, being designed to open or close, or strictly aesthetic, designed to stay permanently in place. The fabrics used in the treatments can provide an excellent opportunity to pull together other elements in the space such as color, pattern and texture. 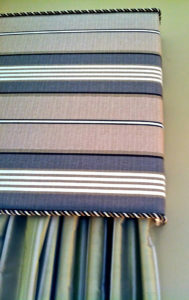 Picking up on a main accent color in the trim embellishment, or using a favorite pillow fabric in the border will contribute to your unique, custom look. Unique shapes are another option to choose from. 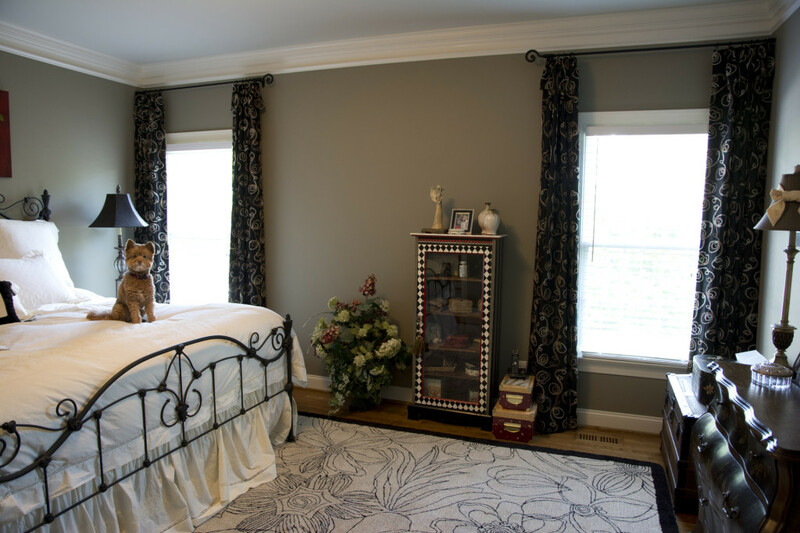 Picking up on an intricate detail in your room and translating it into an accentuated shape in your window treatment allows you to highlight all your favorite details in the space. Side panels are great not only for softening the window and giving the option of blocking out light, but they also can be used to add height to your space. 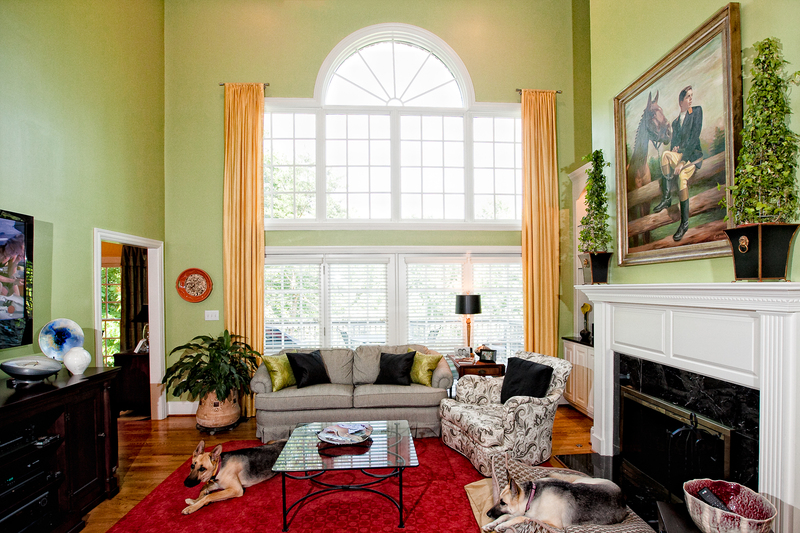 Hang them right below the ceiling or crown moulding instead of right at the window trim to add some drama to the room. 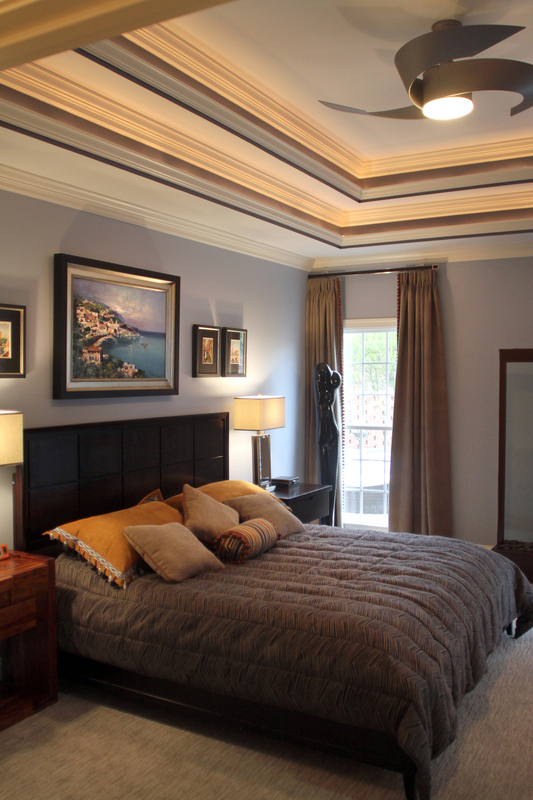 If you decide to go with side panels, but want to take the design over the top, pair them with a cornice board. You can hide any hardware and add another layer to your custom design. This gives a very luxurious feel. The examples to the left show what this looks like. As you can tell, the design feels very high-end and luxurious. Window Treatments can almost become an architectural addition when they are used as a feature to create a frame for that perfect view. 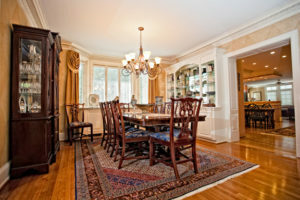 Sometimes they frame in an interior space or nook as well. 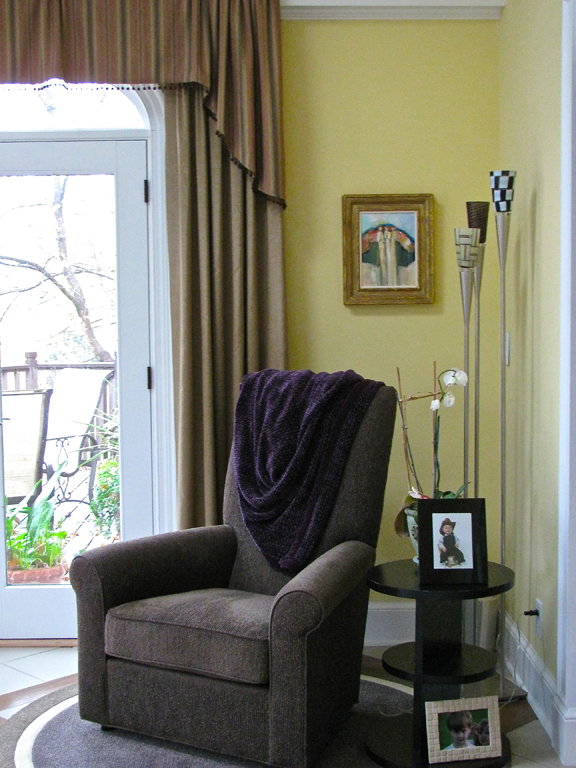 Consider using them in a archway or large entryway to visually separate the space. 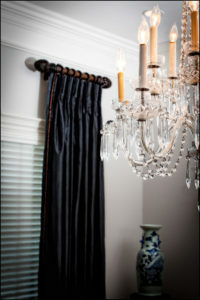 One other great opportunity that awaits you with your window treatments is the custom design embellishments. 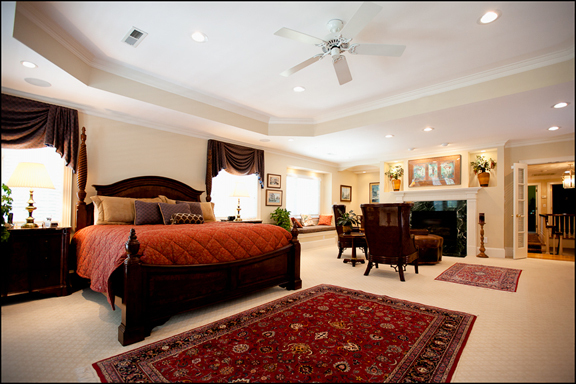 Contrasting fabrics, welts, cording, and tassels make the final product truly one of a kind, catered to your room. The possibilities are endless. Your hardware can be as exceptional as the treatments themselves. 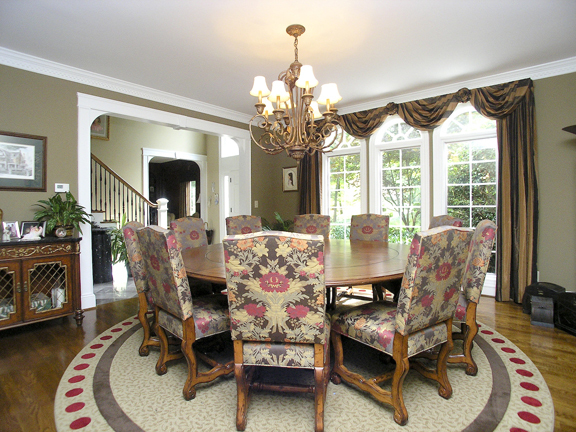 Gorgeous hardwoods with intricate carvings, or sleek, modern stainless applications really set the stage for the fabrics and embellishment applications. 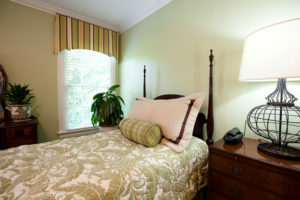 If you aren’t ready to commit to a fabric window treatment but still want to dress up your windows and add some interest to complete your space, consider a paint application. 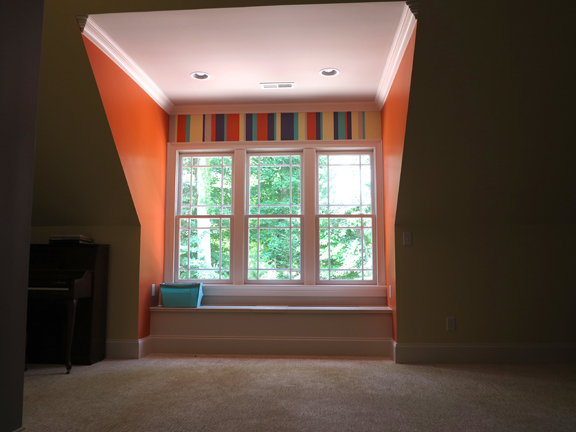 These stripes painted between the window frame and ceiling trim is reminiscent of a cornice board and pulls in all the fun colors in the space. As you can see, the possibilities really are infinite. 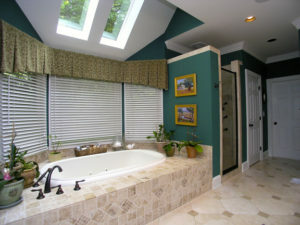 We would be glad to help you tackle your custom window treatments and add the finishing touches to your space.